A CENTURIES old religious tradition was cut short because a Sunshine church could not afford a hefty council bill. 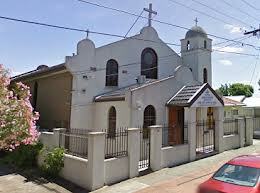 The annual night-time Good Friday procession on May 3 at St Anthony’s Greek Orthodox Church in Armstrong St was shorter than usual because the church could not afford the $4000 permit needed for parishioners to walk around the church block. The church says changes to Brimbank Council’s road closure permit requirements, largely for occupational, health and safety reasons, were behind the decision. Sunshine resident Suzana McNaughton said the procession, which sees worshippers follow a symbolic coffin of Christ around the church block, “ended before it started”, causing confusion, anger and disappointment. Church priest Father Ioannis Demertzidis said it was the first time in the church’s 45-year history the walk had been cut short. He described it as “an attack on religious freedom”. Mrs McNaughton said the ritual was a tradition in her family, with her mother taking her to the event at the same Sunshine church, since she was a little girl. It was the first time Mrs McNaughton had taken her son Harrison, 3. “It was a disappointment and it was also a bit sad that we kind of lost that tradition,” she said. Mrs McNaughton said instead of mourning the death of Christ, the conversation about public liability erupted among the crowd. “The tradition of walking around the block has taken place by Greek Orthodox followers around the world for centuries and nothing has stopped it not war, politics or plague nothing until the Brimbank Council,” she said. Church committee member Bill Lascaris said the changes meant it would have cost the church up to $4000 to walk the usual procession route, incorporating Glengala Rd. Instead, the church paid about $900 to walk up and down Armstrong St. He said the committee would consider an alternative route next year, but the church would need to raise the money. Brimbank Council acting director city development Stuart Menzies said traffic management for night processions was the only change that has been made to road closure permits. Mr Menzies said Victoria Police advised the council they would no longer support night processions without full road closures. He said the plan would have required trained traffic controllers and this had driven up the cost. Brimbank City Council exists to employ the staff who work for it between 8:30 AM and 5:00 PM. It is literally not there and is never there to serve the cultural or amenity interests of its residents, who come home from work to live in the council’s absence between 5:00 PM and 8:30 AM! If the staff had been sacked along with the former councillors, they would not have been missed! Police will not attend at night because they have made a judgement that this is not important. As usual public safety is being used as an excuse. As for the Council they have just successfully shifted an insurance risk onto a charity. Very disappointing from both the police and council. This article incorrectly states the location of this parish is Sunshine. It is actually located in West Sunshine. A different suburb. Wow. After all these years and Greeks still cant get a break!! I notice in this so called multicultural country of ours only minority groups get a helping hand. I am sick to death of the harassment at Easter – how many Easters have we celebrated in this country and NOW they want to crack down on a religious and cultural event. That’d be right after all, its not like the Aussie culture – oh that’s right, THERE ISNT ONE!!!! Next year we should cycle around the block for Easter. Lets face it, they happily close roads for sporting events, consider this our sport!!! 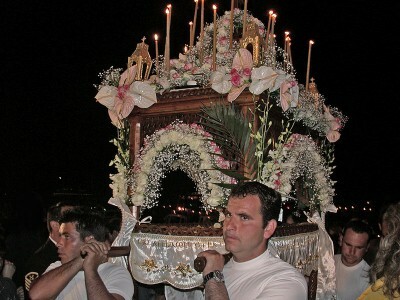 If the truth be told, Orthodox parishes have been paying their local councils for years in order to conduct processions such as those of Holy Friday or Epiphany doxology services at piers. The Greek Orthodox archdiocese foots the bill for convening the Greek National Day memorial procession at the Shrine of Remembrance, as well as the use of Station Pier for the Feast of the Epiphany in January. As for mainstream Australia, we have always had to struggle to build our associations, churches and institutions, and yet local, state and federal authorities fall over themselves to give tax cuts, breaks and assistance to other religious and cultural groups. Had it been a synagogue or a mosque there would have been a public outcry, and the civil servants and politicians would have coughed up. But since it is the Orthodox Church, it doesn’t really matter to most.